When all vain glories and pride is swept clean from the heart, attachment with the dunya / samsara is dissolved, all egoic confinement are bade farewell, after the desire for material, wealth and fame is divorced - the unity and harmony of mankind, of one family of God is realized - in that the real purpose of Hajj is attained.The teaching of Hajj is the message of universal love, single brotherhood and sisterhood of humanity and world peace. Now a days because of modern transportation system traveling to Hajj is made very easy. It takes only few days to go to Hajj and return. In early days, people would endure tremendous struggle to reach for the Hajj, sometime walking by foot for many hundreds of miles, sometime by traveling by sea for days and months. In this age of modernity, even inside the rites of the Hajj, modernization have made the experience as easy on people as possible. 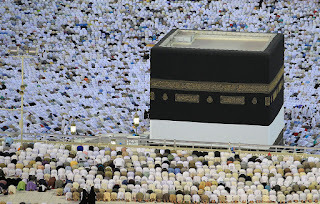 But the Hajj of the Tariqat, of the Path remains as challenging as ever, the spiritual effort required to attain to the highest reality of Hajj is one of the most refined goal of spiritual attainment demanded from the Son of Man, no matter which or what spiritual tradition he or she may belong. In the Universal Way of Islam, every pillar of submission to God is recommended to purify a person's heart and to give strength to the Connection with God and to give a wider scope to the meaning of submission to God. Once a seeker of God feel submission to God at the core of his or her being, that person feel freedom from the heavy impact of life and materialism that put people to psychological torture. Nothing else in life is equal being within the sphere of God's pleasure. 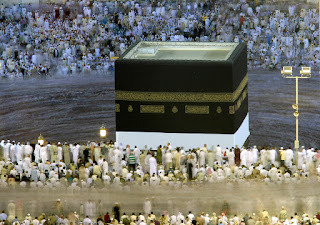 Among the basic five pillar over which the towering meaning and core of Islam is built is Hajj. The five pillars of submission are: To testify in the Oneness of God, to Pray, to Fast, to Give Charity to Poor and Pilgrimage to the Ancient House. There are very few self sacrificial act than Hajj. In this act, in submission to the call of God one leaves one's wealth, business, job, family, relatives only to remember and fulfill the Commandments of God in the footstep of the Patriarch Abraham. For a true seeker of God when he or she sets out for the Hajj with the aspiration to achieve its Haqiqat (reality) he or she must remember death and prepare as he or she may prepare for the final journey. Hajj is the outward journey to remind the inward journey, the journey which is terribly real, the journey that takes on from the unreal and passing world to the real and eternal world. Thus a pilgrimage who is preparing for the journey of Hajj must close all accounts and transactions to everyone, must seek forgiveness from everyone in his known circle of people, if there are any debts, he or she must fulfill it. If there are family members who are dependent, he must fulfill their duties and do his part to ensure their care. Forgiveness must be sought from relatives and friends for any known and unknown mistakes. At the time of leaving the house, one must let go off every attachment and desire for wealth, spouse, children and anything of the worldly life. Just as one must do when one has to before death. Hajj is in a sense, a way to die before death. Dying of the temporal so that the eternal life must be gained. This is why the two piece clothes called Ihram that the pilgrims wear during Hajj are white, un-hemmed clothes which are used for burial. Literally "mutu kabla anta mutu" (die before you die) is practiced during the Hajj obligations. Its noteworthy that Jesus used to wear un-hemmed clothes, which were off-white or cream in color. When someone is in the state of Ihram, wearing Ihram they become like a mendicant, they are not allowed to kill any living animal, they are not allowed bodily passion, must not wear makeup or wear perfume, are asked to cut off their hair beforehand (for male). Thus they become like sometime who have vowed for the highest vow of a monk as found in many other spiritual traditions. 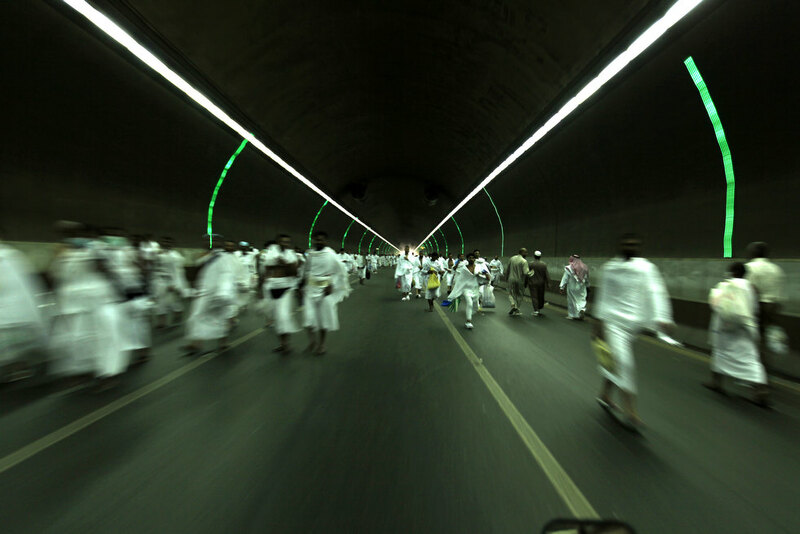 Hajj is a reminder of the inevitable, death and return to the Great Reality. 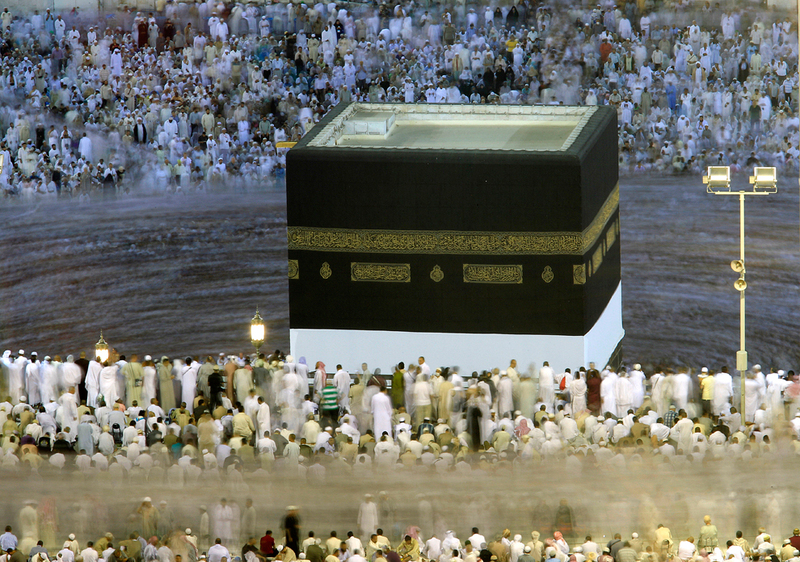 The highest symbol of Hajj is Oneness. It in seeing the Oneness of Humanity, devoid of all separation, no separation of gender, no separation of race, no separation of nationality one witness the One who is behind every face, the One Creator of creation. People of logic may ask, "If my devotion to God is enough, my faith on hHm is enough, why do I have to travel to certain place for anything?" The answer to this question is: "As in the world, the employer asks his employees to perform certain task and it is these instructions which act as a link between the employer and the employee, similar it the case for God and His family, the creation. In this world, the superior ask the sub-ordinates for certain act to be performed. It is through carrying out the instructions of the employer that the employee earn satisfaction, when such acts are performed properly, the employer become satisfied. The employer has more rights over the employee to give instructions. God, who is the Lord of entire creation has more rights over everyone and it is His commands by performing of which one attains His good pleasure. "Indeed they have not estimated God with the right estimate due to Him." - Qu'ran. Thus all sacred commands has no other better reasoning and goal but the pleasure of the Lord. 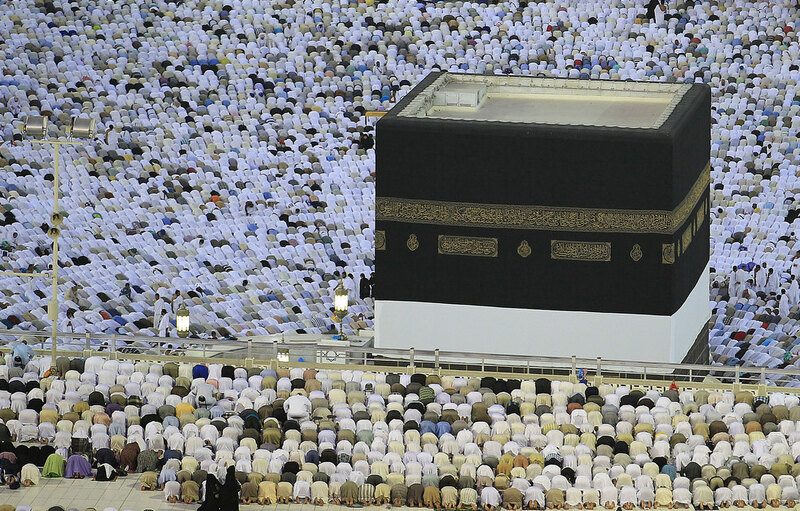 Thus the spiritual significance of Hajj is also attainment of God's pleasure. May God accept and be pleased with us all. and He never leaves me. loves me in whatever He sees.